The Chamber will be celebrating its 162nd Chamber Day on Friday, the 17th of May 2019. The event will be held in the evening of that day at the Hotel Monsoon Empress, N H Bypass, Palarivattom, Cochin-25. 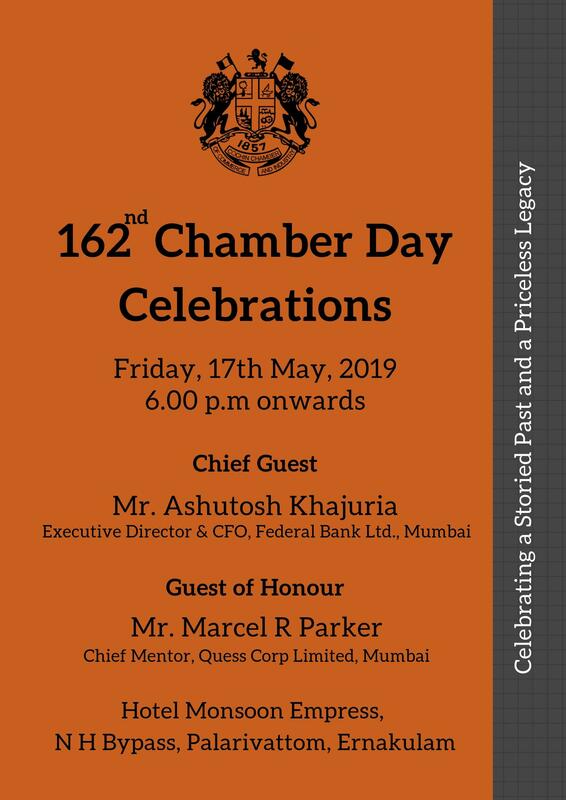 Mr. Ashutosh Khajuria, Executive Director & CFO, Federal Bank Ltd., Mumbai, will be the Chief Guest on this occasion and Mr. Marcel R Parker, Chief Mentor, Quess Corp Limited, Mumbai, will be the Guest of Honour. We will also be honouring the Past Presidents of the Cochin Chamber that evening.